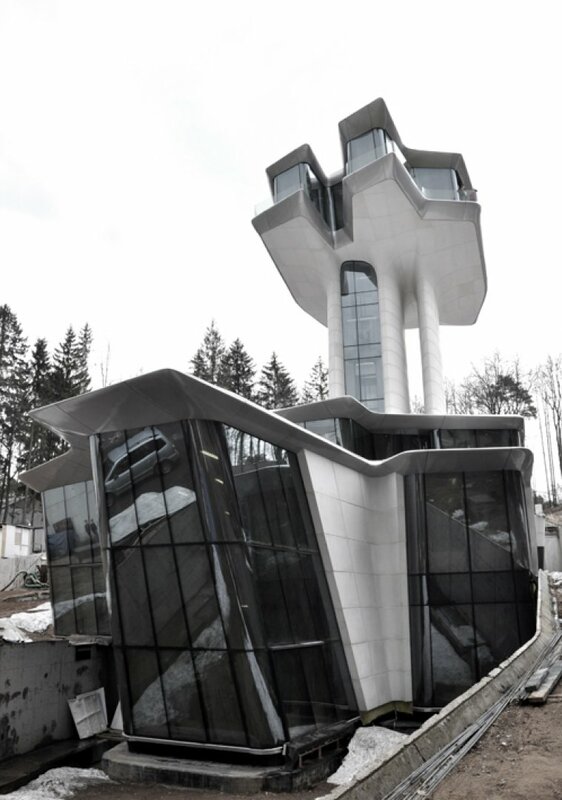 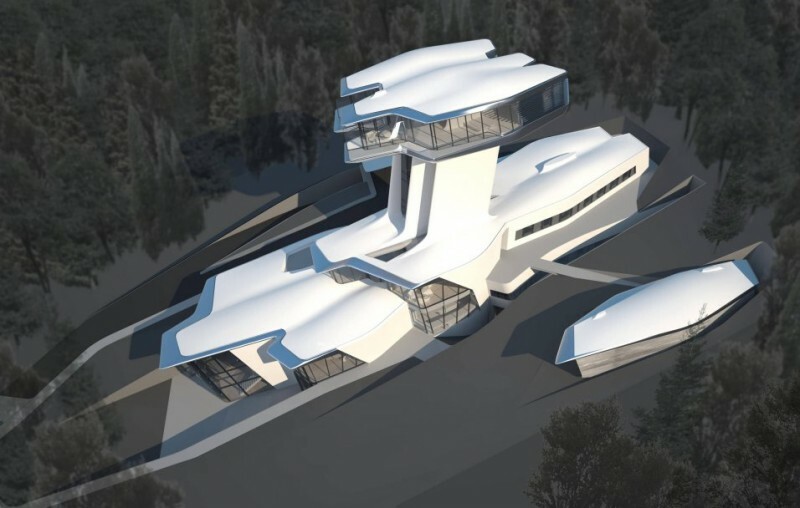 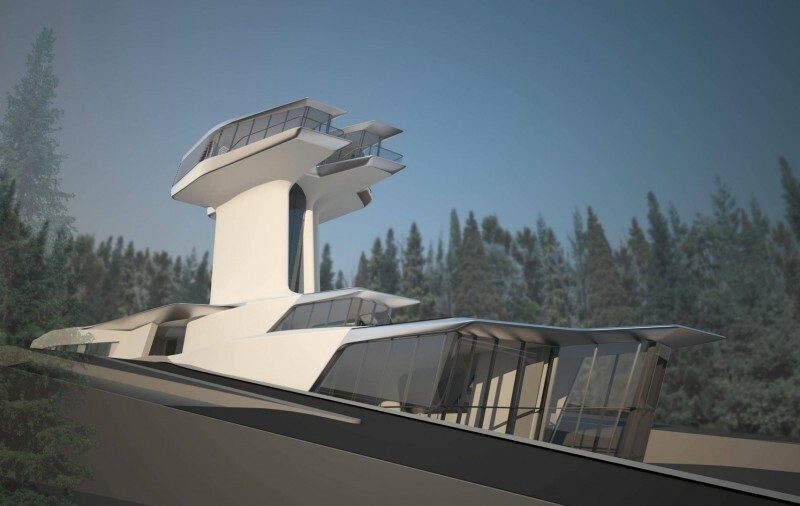 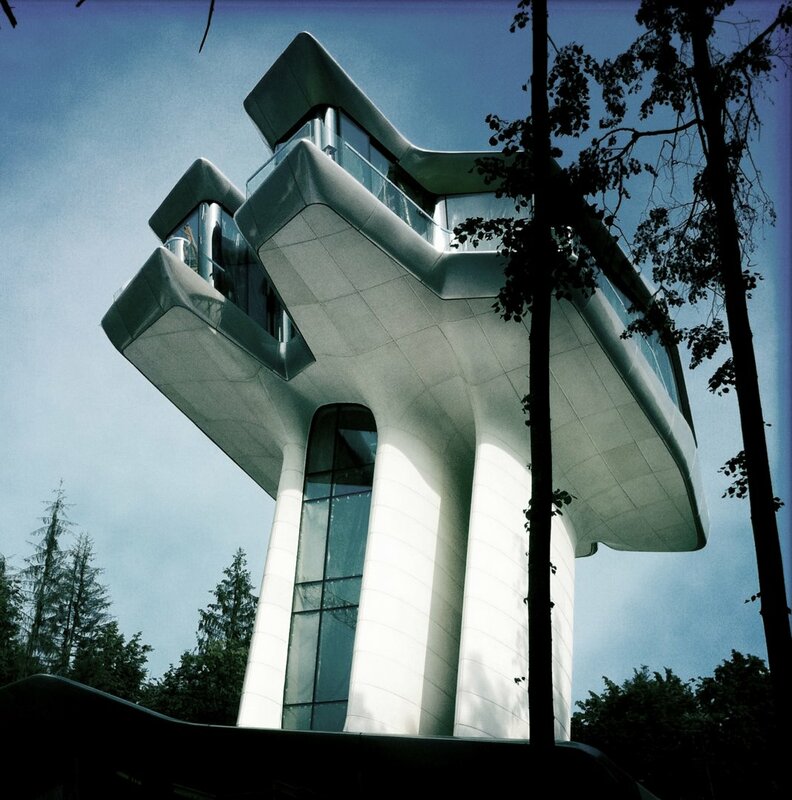 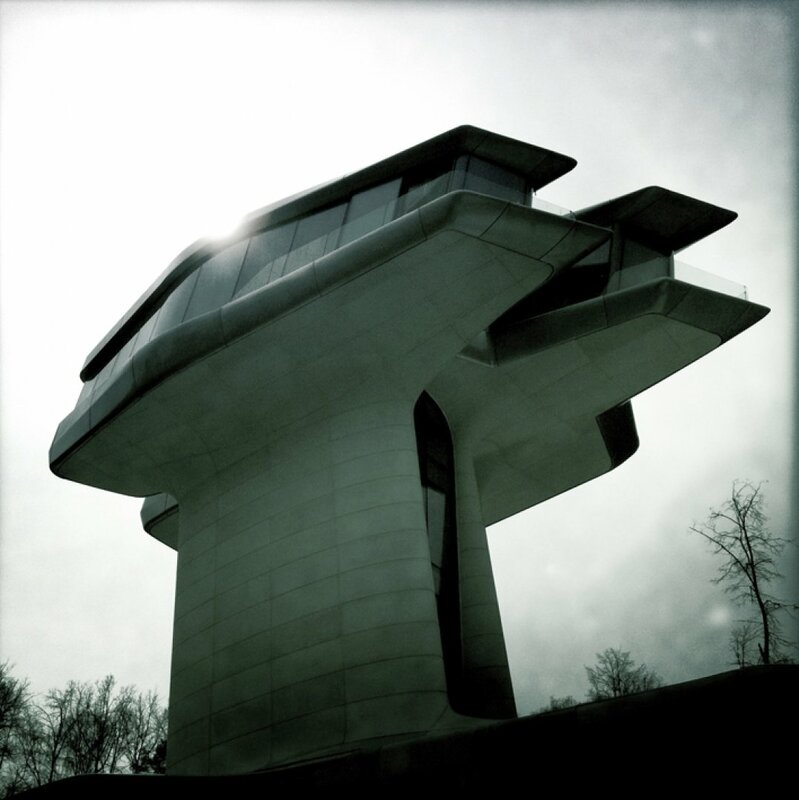 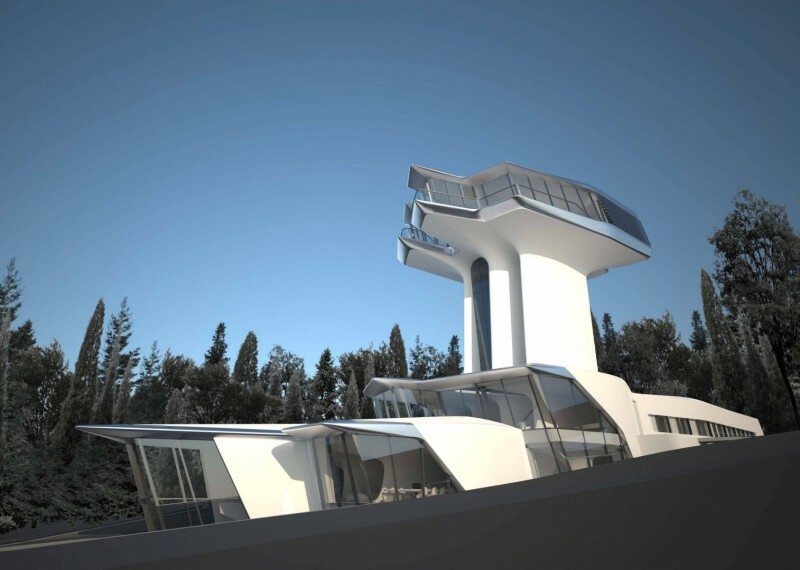 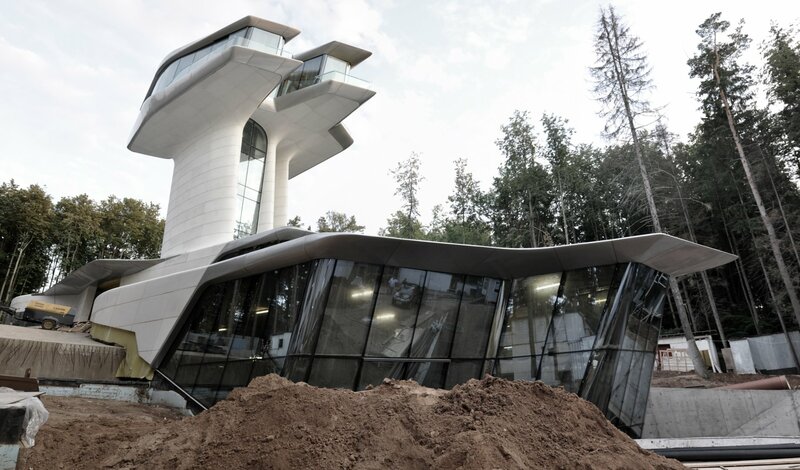 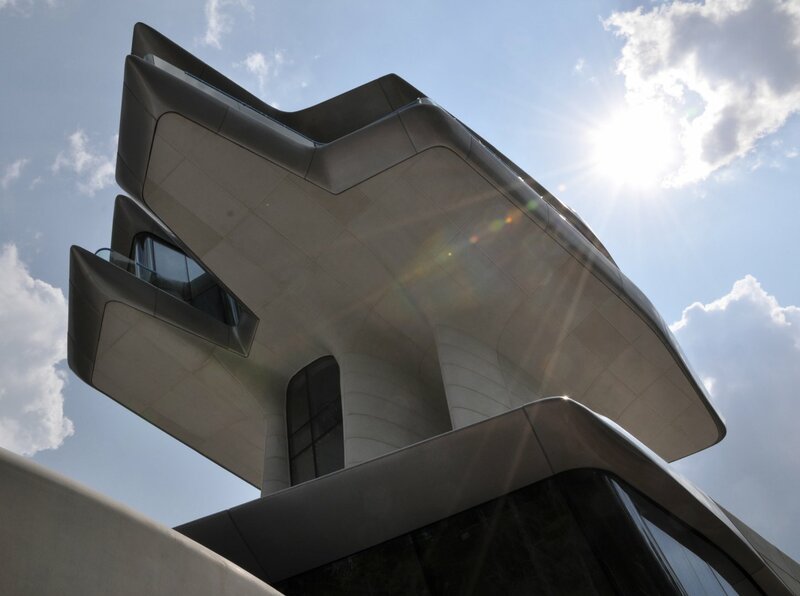 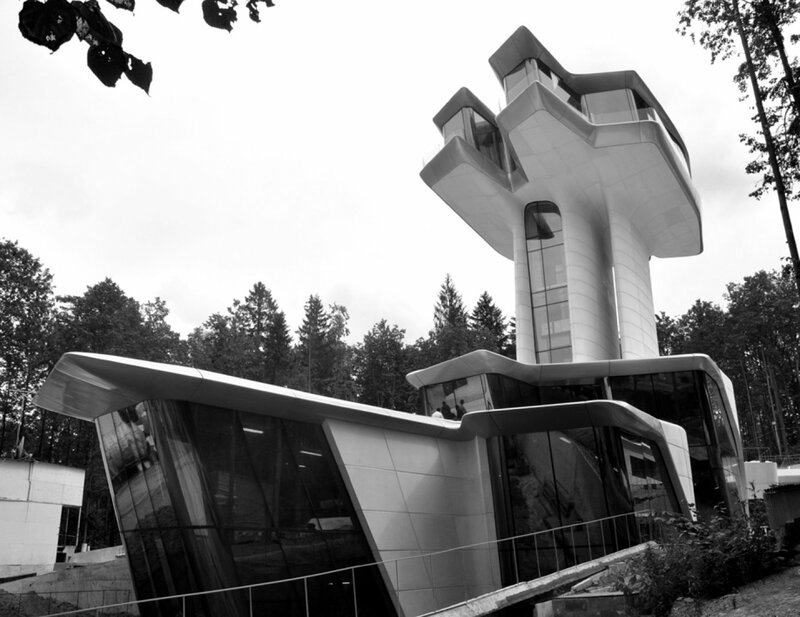 …Capital Hill Residence, the extravagant spaceship-like house designed by Zaha Hadid and located in the hills of Barvikha, just west of Moscow. 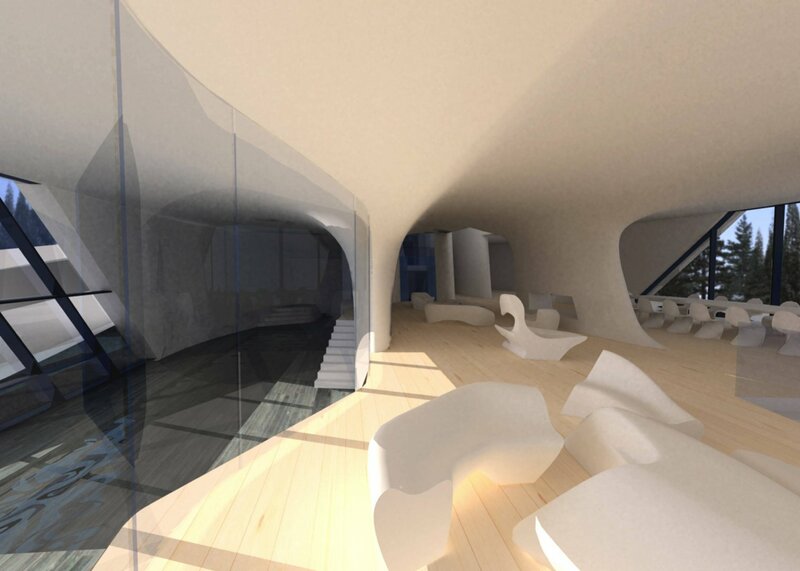 New details have emerged concerning the concrete villa, namely the subject of the home’s intended future resident, none other than international supermodel (and reportedly colossal diva) Naomi Campbell. 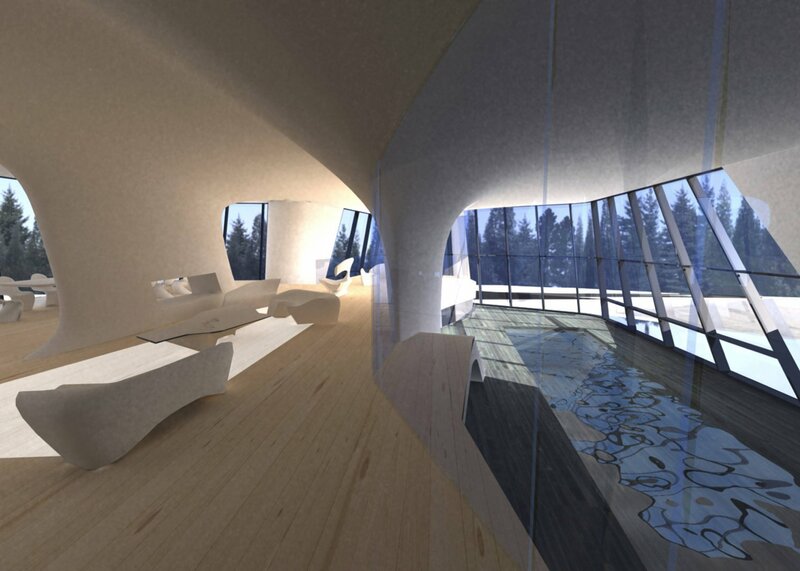 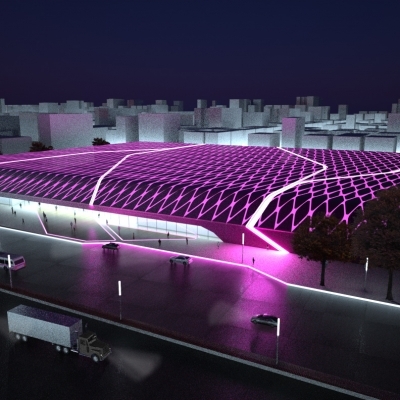 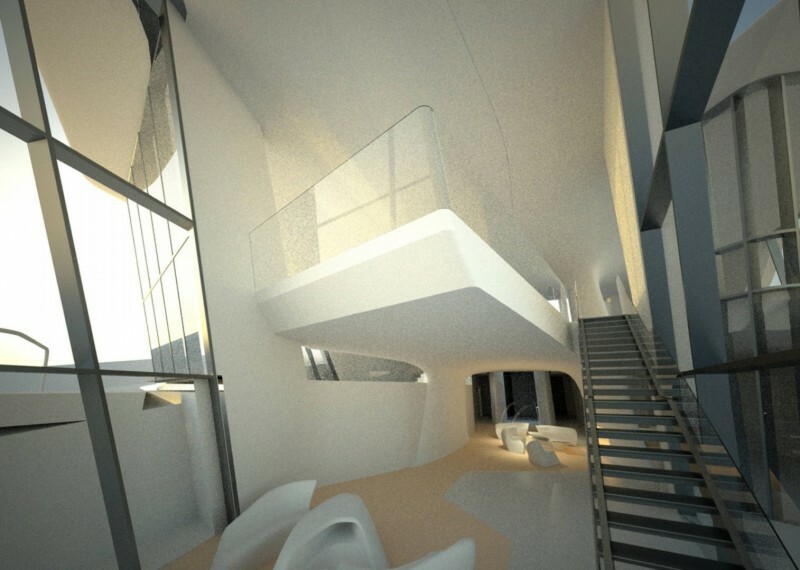 The home, which also happens to be the first of its kind for Zaha, was commissioned by Russian billionaire Vladislav Doronin. 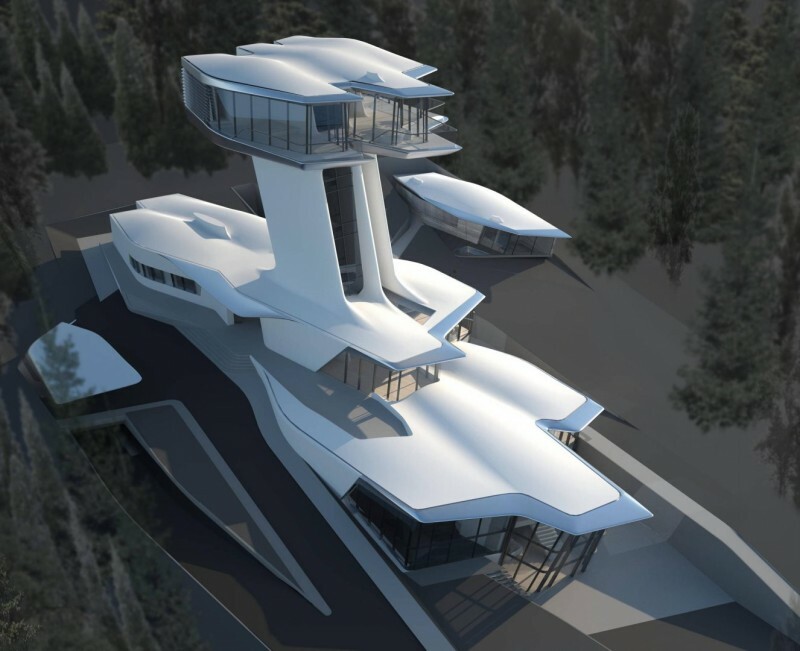 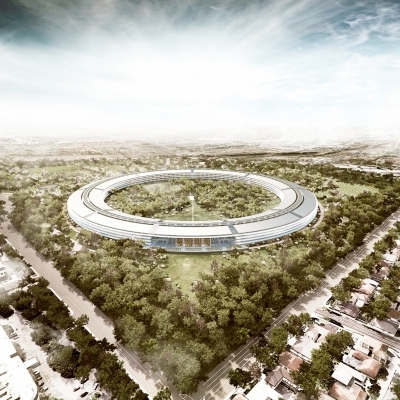 The Russian magnate, who serves as the chairman of the Board of Directors of Capital Group, has built the futuristic home for his girlfriend Naomi Campbell with the intention of presenting the mansion to her as a wedding gift.